When using a CPAP machine to help improve your Sleep Apnea, you want to get the most out of your treatment. Start by purchasing the right sleep accessories. With the best pillow for use with a CPAP machine, you can upgrade your Sleep Apnea therapy today. A CPAP pillow is a bed pillow used by an individual who uses a CPAP machine for Sleep Apnea therapy. This pillow is different from a basic bed pillow in both the shape and design of the material. Cut-outs are signature to CPAP pillows. 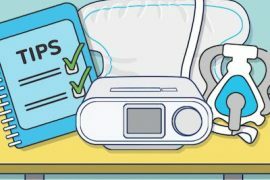 These cut-outs on at least two sides and sometimes all four allow the user to adjust their pillow along with their CPAP mask and tubing. CPAP pillows for side sleepers, stomach sleepers, and individuals who sleep face down help prevent against several key issues. CPAP users who sleep with standard bed pillows experience discomforts caused by the bulk of the pillow. If these individuals are apt to move around at night, they are more likely to experience mask leakage. 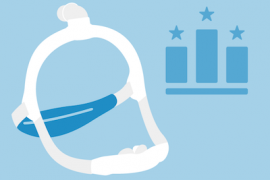 If your CPAP mask leaks, it reduces the air pressure unexpectedly and minimizes the benefits of CPAP therapy. Red marks and pressure sores due to the CPAP mask can also be prevented when using pillows specifically designed for CPAP users. The cut-out sections of a CPAP bed pillow allows the mask exhalation ports to remain open. This helps avoid the seal disruption that can happen when a CPAP mask is shifted out of place due to being pushed up against a regular bed pillow. Thanks to the two to four cut-outs on the best pillow for use with a CPAP machine, you are able to move around while sleeping without concern for covering those ports. Another main feature of a CPAP pillow is the use of certain types of materials. For example, a popular type of CPAP pillow is the CPAP pillow memory foam. The use of memory foam helps to support the head and neck of the Sleep Apnea sufferer throughout the night. For individuals who also suffer from neck pain or spinal issues, the sturdy support of a memory foam CPAP pillow can be beneficial. 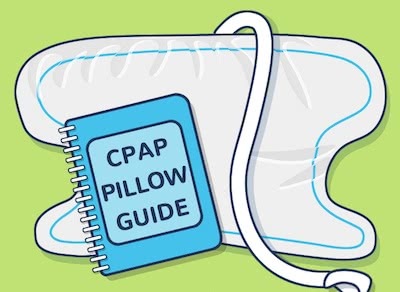 Some CPAP pillows also feature hypoallergenic covers. You want to find a pillow that comes with a detachable, washable case for best results. This allows you to wash your pillowcase in order to keep your CPAP pillow safe and sanitary against bacteria, dirt, and germs. This serves double-duty for extending the life of your CPAP machine since you are maintaining a healthier, cleaner sleeping environment. If you are considering a no-snore or anti-snoring pillow, be aware that these may help reduce snoring, but will not treat Sleep Apnea. Designed with firm materials, anti-snoring pillows elevate the individual so to overcome the problems that lead to snoring. This helps individuals open their airway while reducing acid reflux, which are common symptoms of Sleep Apnea as well. These look more like a wedge of memory foam rather than the distinct shape of CPAP pillows with cut-outs. As a result, a no-snoring pillow does not offer the same structural benefits as a CPAP pillow for use with Sleep Apnea machines. For individuals who are starting to show early signs of Sleep Apnea, these anti-snoring pillows offer a therapeutic approach. 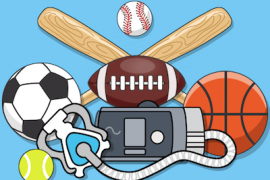 However, if you are suffering or have been diagnosed with Sleep Apnea, then you want to speak with a doctor regarding possible medical treatment, such as CPAP therapy. This will be important for helping you improve your medical condition whereas anti-snoring pillows are useful to a point. Does a pillow help with Sleep Apnea and not just for snoring? Ideally, you can choose a pillow that does both. By selecting the best CPAP bed pillows for your sleep style, whether you sleep on your side or your face, you can improve your sleep therapy. As a result, your airways will be open and you will most likely reduce or stop your snoring. As you shop for the best CPAP machine pillow, there are some key considerations to look for. Start with the overall size of the pillow. You can find standard pillow ranges in size from 21 to 26 inches on average in length and 12 to 20 inches in width. These pillows typically have a thickness of 4 to 7 inches. For traveling with your CPAP machine, you can also find mini CPAP pillows. Designed with two different textured sides, this Sleep Apnea therapy machine pillow has breathable mesh on one side and hypoallergenic fiber on the other side. In addition, there are three foam layers inside the pillow. This allows you to use the top layer of the pillow alone or with one or two additional foam layers. This way you can adjust the height of the pillow to your personal specifications and comfort. Featuring memory foam, this CPAP pillow comes with a cotton and polyester cover and six intentional indentions. These allow you to reposition your head and neck more efficiently when wearing your CPAP mask. This CPAP pillow is hypoallergenic thanks to antimicrobial material, which is vital for allergy sufferers and helps to minimize bacteria and germ buildup. The EnduriMed CPAP Pillow is one of the more compact sizes of CPAP pillows. Made from memory foam, the pillow has four cut-outs to accommodate a CPAP mask and hose. At the upper end of the size scale, the SleePAP CPAP Pillow comes standard with a 100 percent polyester pillowcase. In addition, the included pillowcase is zippered, which minimizes slipping when using this pillow. For individuals who want a basic pillow to use with your CPAP machine, try the Core CPAP Pillow. The design is flexible enough to allow you to bend and shape the pillow to your comfort needs. For traveling with your CPAP machine, you need to have a compact yet useful CPAP pillow. The Mini Core Travel CPAP Pillow features quilted panels to increase the comfort level of this pillow. Comes ready to use with a pillowcase that can be removed for washing. As you shop for the best CPAP pillow, search for the ideal pillow for your sleep needs and Sleep Apnea therapy. For example, you may be interested in CPAP pillows for side sleepers or a CPAP pillow with neck support. Consider your personal sleep needs and issues you are having with using your Sleep Apnea mask and machine at night. Then find the ideal pillow for you. You also want to consider if you are able to wash your new CPAP pillow. If the pillow is not machine washable or can be sent to the dry cleaners, then you will want to replace your CPAP pillow every six months. While standard pillows can be kept for years, a CPAP pillow needs to remain clean for best results. 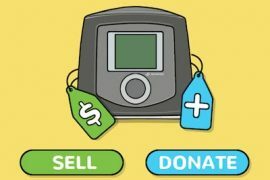 This is important for the integrity of your CPAP machine, as well as for the overall results of your CPAP therapy. Here at CPAP, we are here to help you at every step along the way. From learning about the latest tips on choosing CPAP machines to find the right CPAP pillow fast, we can assist you. Subscribe to our newsletter to receive the latest CPAP news and Sleep Apnea information along with huge savings on CPAP machines and equipment for Sleep Apnea therapy.